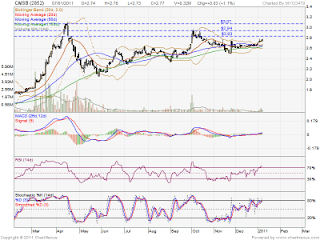 After consolidate around 1month & forming bolinger band squeeze. On 4 Jan 2011, CMSB already break up bolinger band squeeze. There is a gap up on 12 April 2010, from RM2.83 to RM2.88 level. 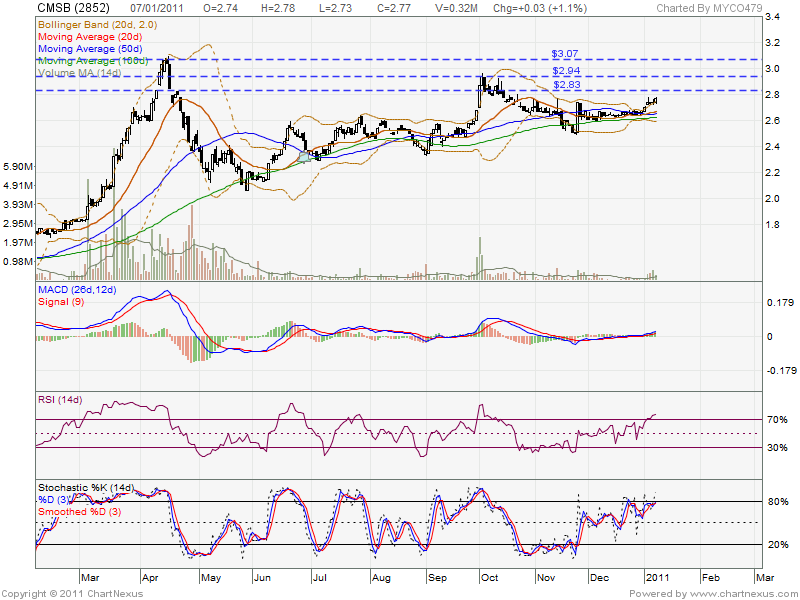 However, if retrace down, may look for RM2.74 & RM2.68 support level.